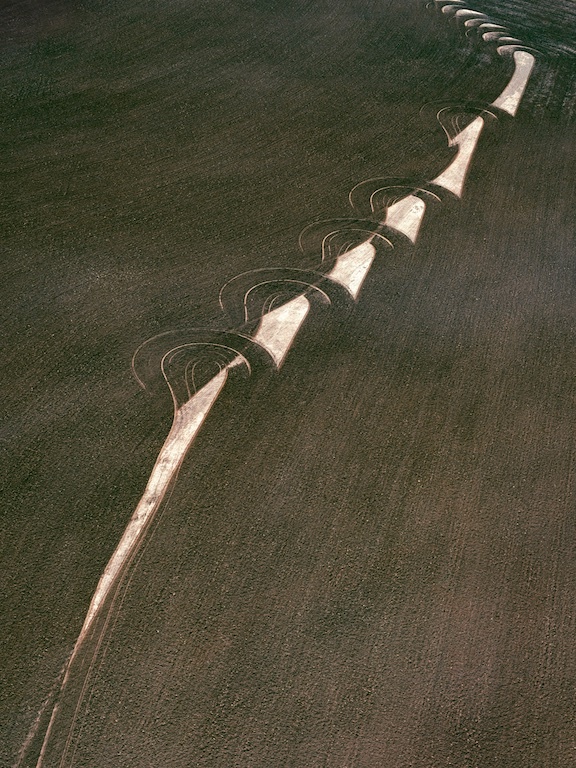 Ploughed field, wheatbelt, Western Australia, 1985. 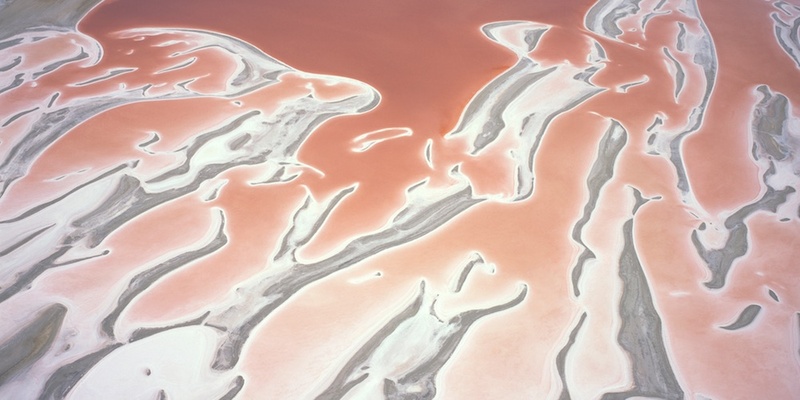 Pink Lake, north-west of Esperance, Western Australia, 1988. 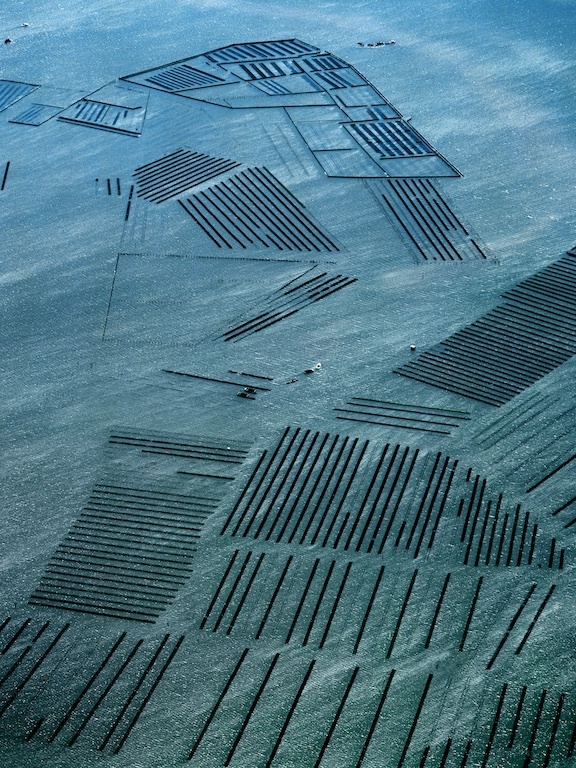 Oyster industry near Botany Bay, New South Wales, 1989. 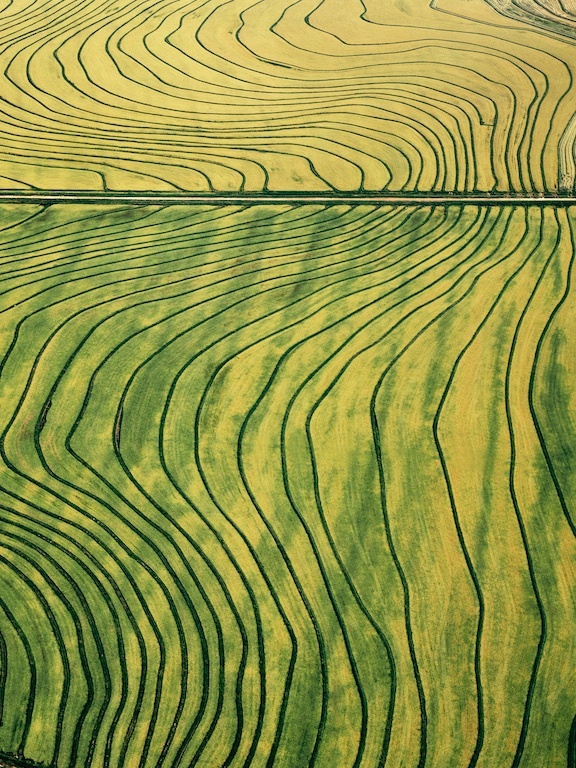 Irrigated rice growing, Mareeba, northern Queensland, 1989. 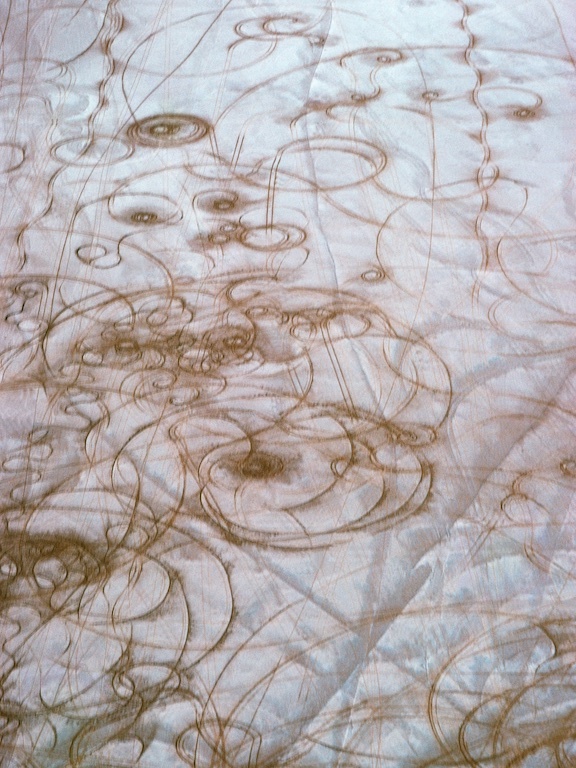 Tyre tracks on a salt lake, near Kambalda, Western Australia, 1991. 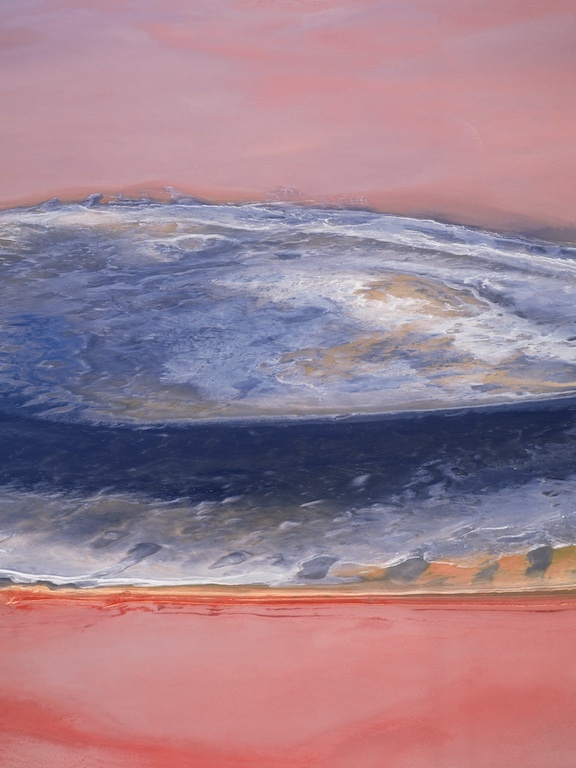 Coast at low tide, Kimberley, Western Australia, 1991. Taken August 1991 with a Pentax 6x7 camera and Fuji 100 RDP film. 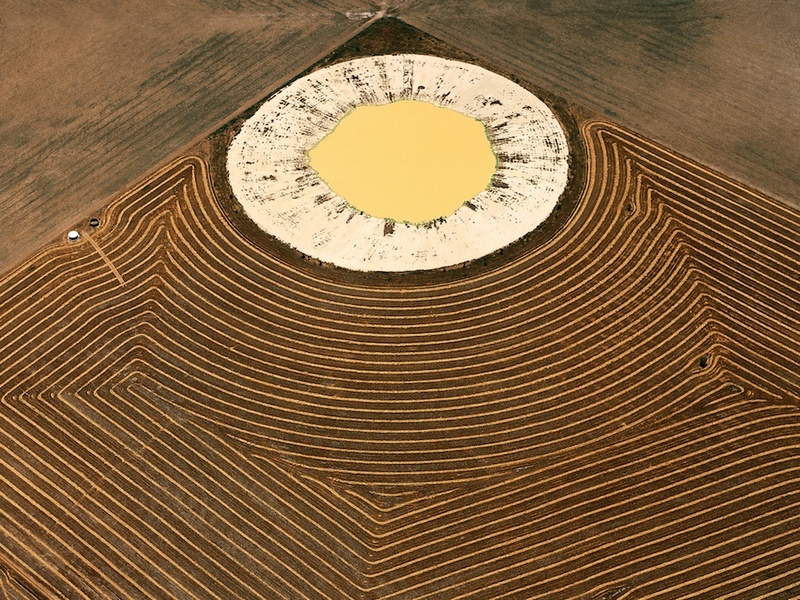 Salt lakes in wheat fields, near Esperance, Western Australia, 1994. Harvesting hay, Toowoomba, Queensland, 1990. 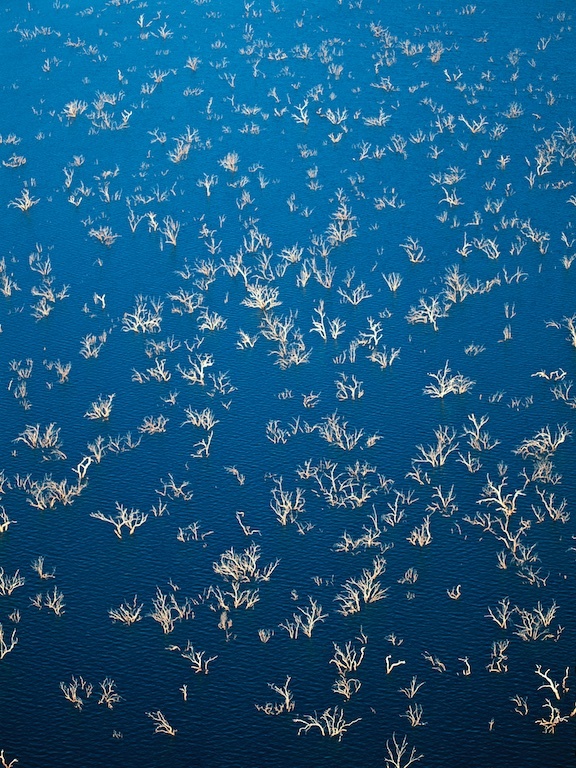 Trees in flooded Lake Argyle, Ord River, Western Australia, 1995. Lake Austin, central Western Australia, 1995. 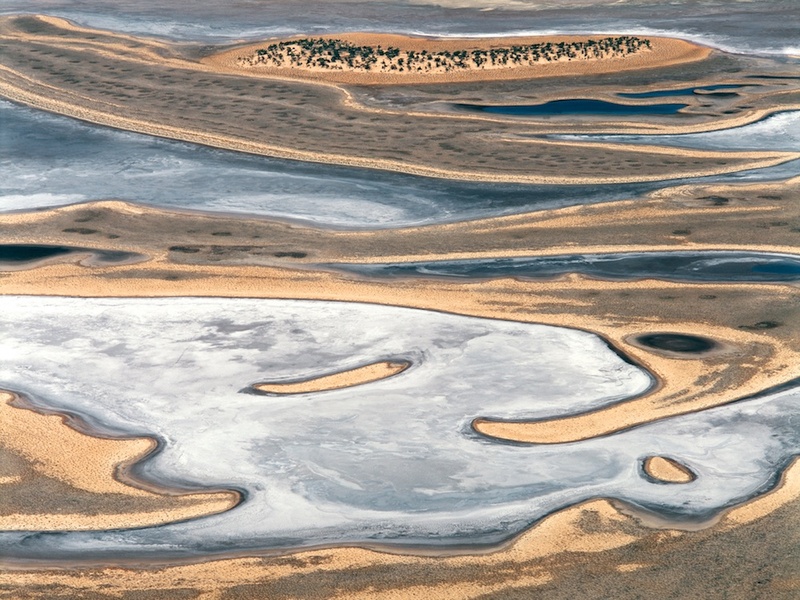 Edge of Lake Moore, central Western Australia, 1995. 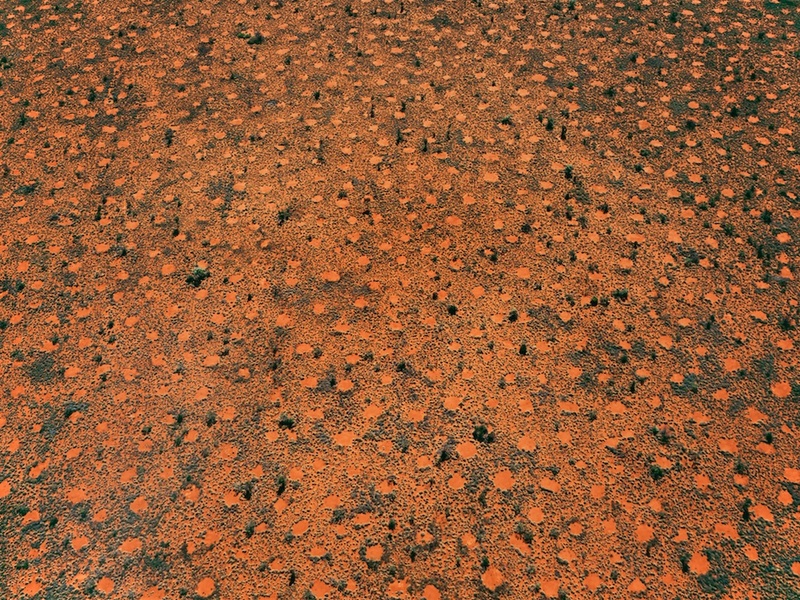 Ant clearings, Great Sandy Desert, Pilbara, Western Australia, 2003. Top of Curtis Island, estuary and sand banks. Cape Capricorn, Queensland, 1997. Pinnacle desert, Nambung National Park, Western Australia, 2003. 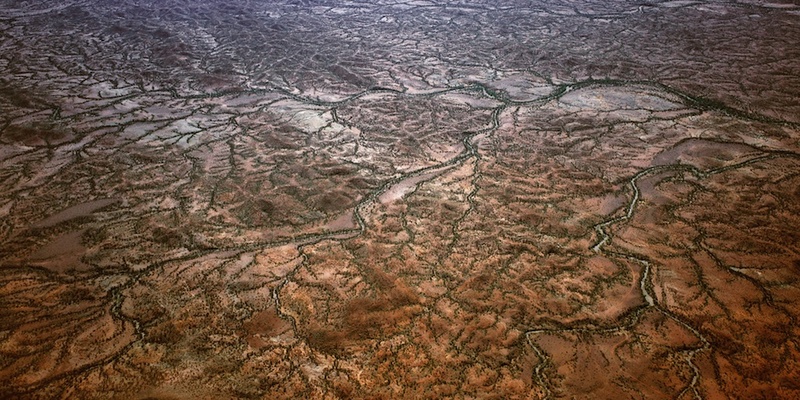 Tributaries, Gascoyne area, Western Australia, 2003. 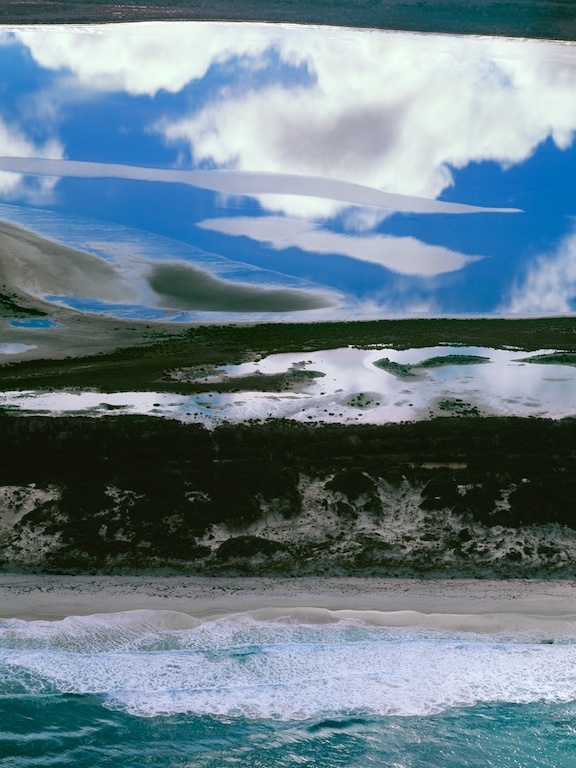 Top of Curtis Island, estuary and sand banks, Cape Capricorn, Queensland, 1997. Forrest River, Kimberley, Western Australia, 2003. Lake Dumbleyung near Wagin, Western Australia, 2005. 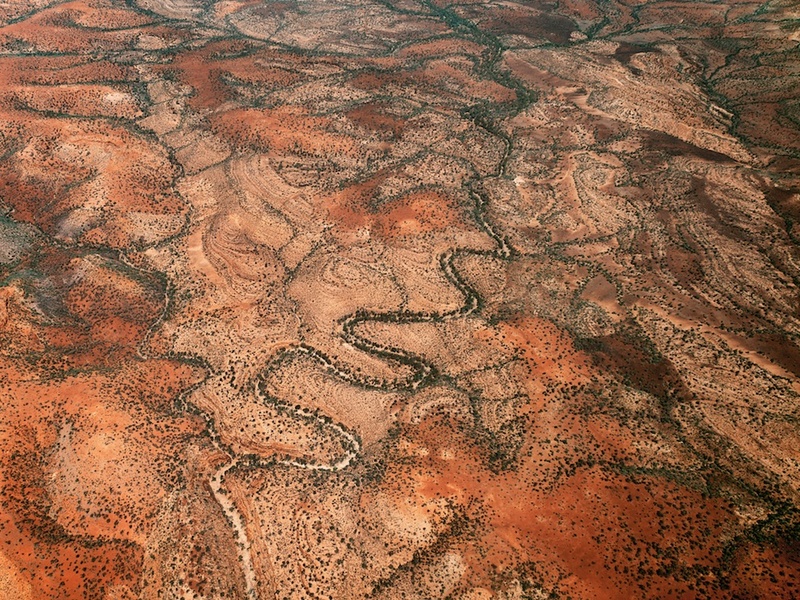 Scrub land with small rivers, Murchison, Western Australia, 2004. 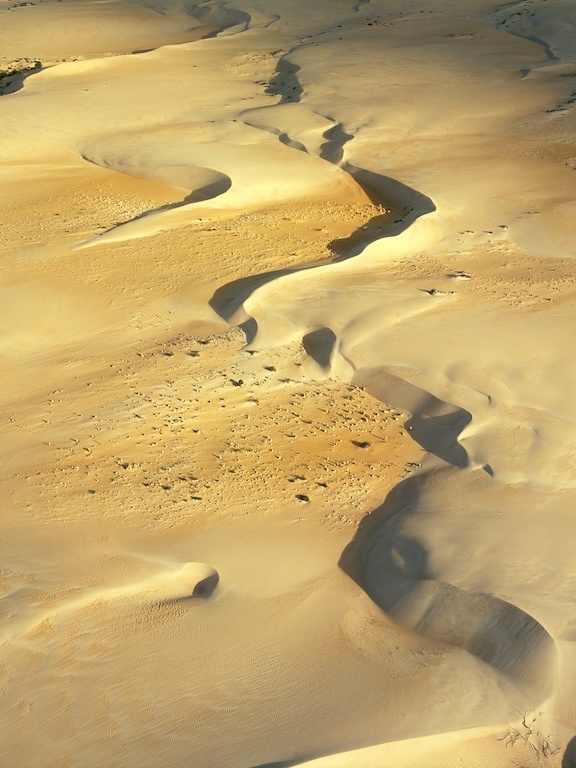 Sand dunes north of Lancelin, Western Australia, 2004. 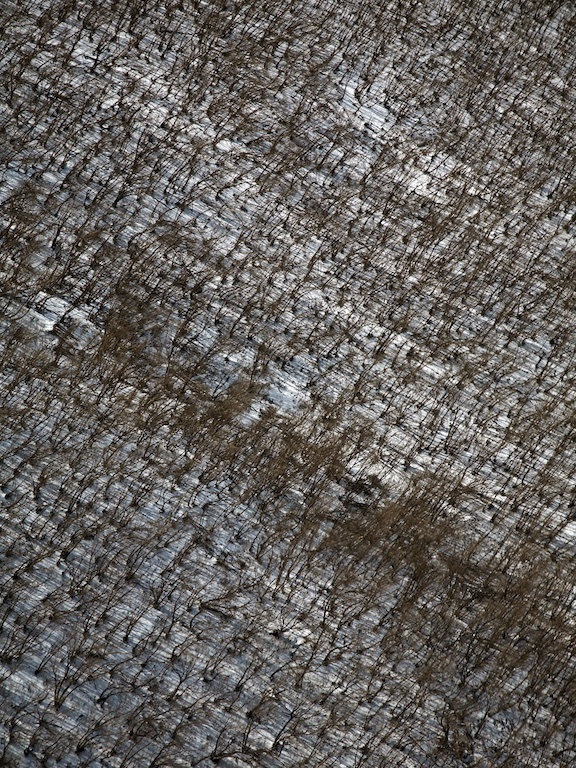 Bushfire pattern, Western Australia, 2004. 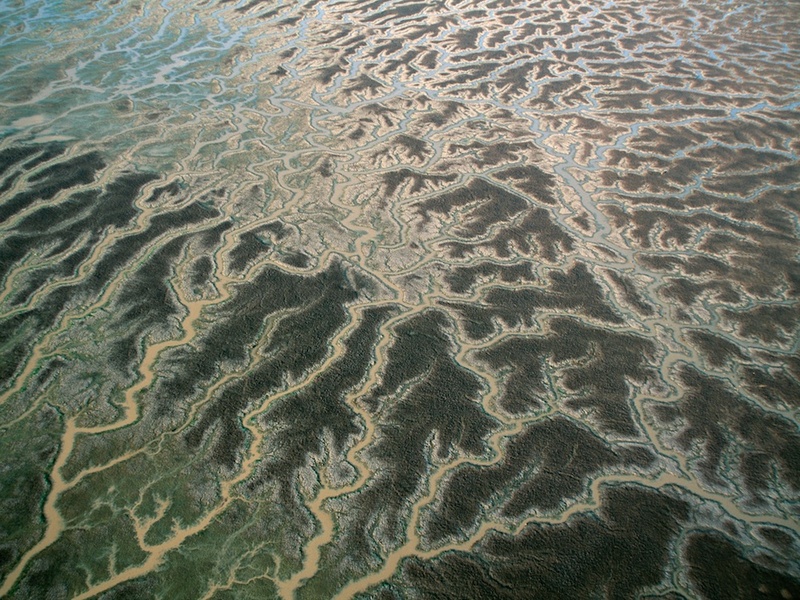 Coastal river pattern, Northern Territory, 2004. 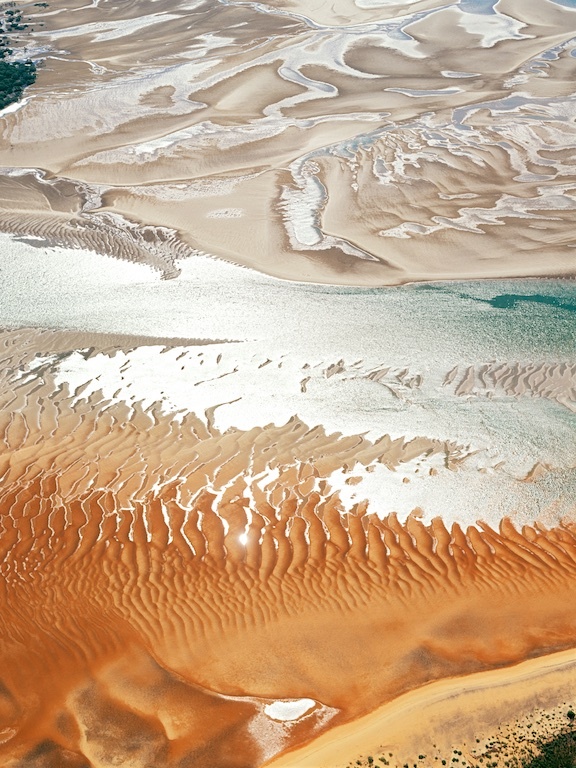 Ocean pattern near Eighty Mile Beach between Port Hedland and Broome, Western Australia, 2004. Spinifex landscape, Pilbara, Western Australia, 2005. 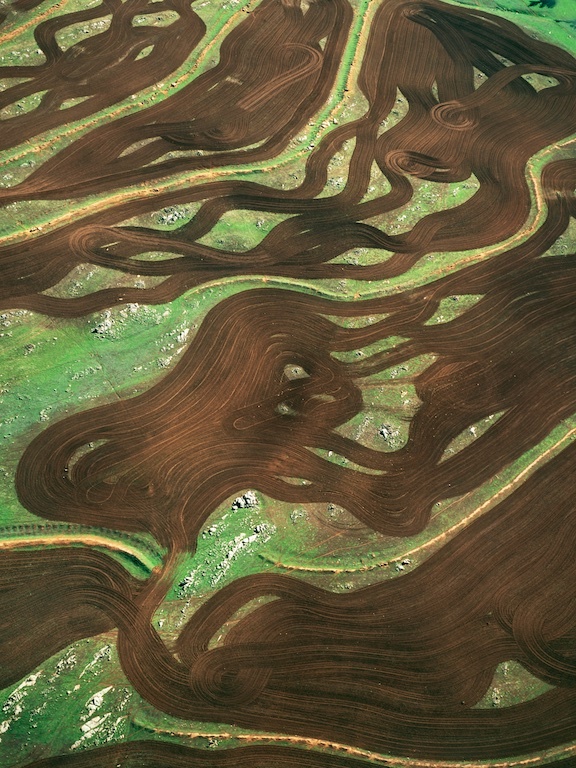 Plough patterns near Narrabri, New South Wales, 2004. 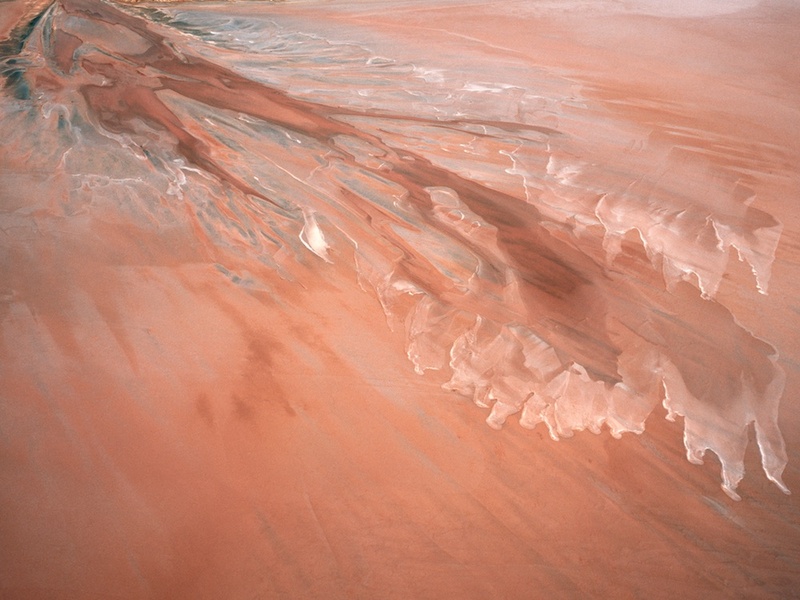 Strezlecki Desert, South Australia, 2005. Edge of Lake Lefroy, south of Kalgoorlie, Western Australia, 2005. 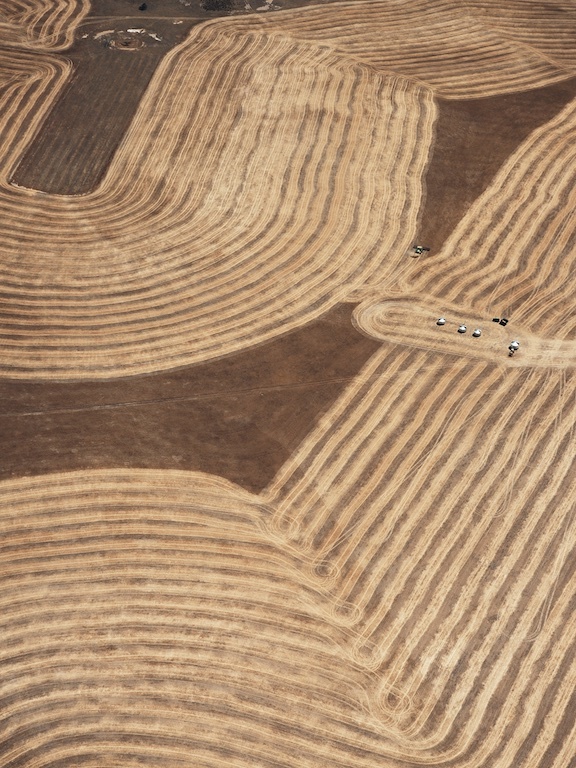 Plough patterns near Toodyay, Western Australia, 2005. Harvesting wheat near Wagin, Western Australia, 2005. 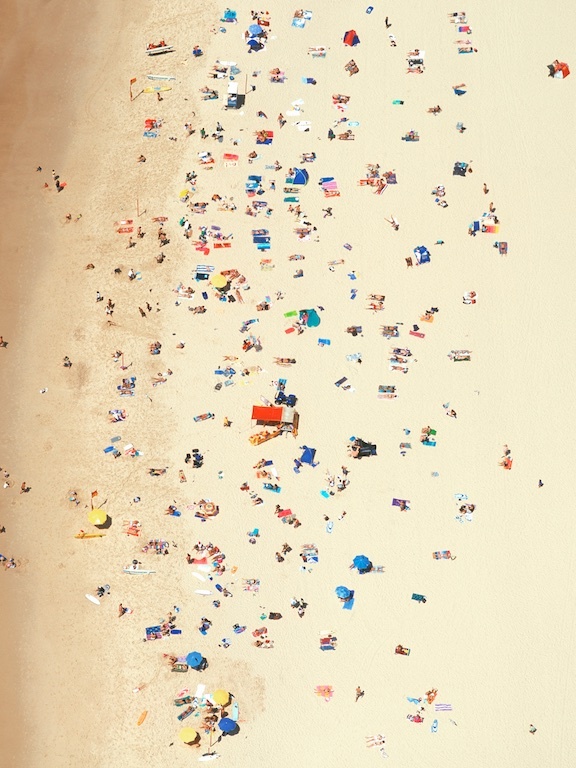 Swimmers on Bondi Beach, Sydney, New South Wales, 2006. Coastline between Esperance and Cape Arid, Western Australia, 2006. 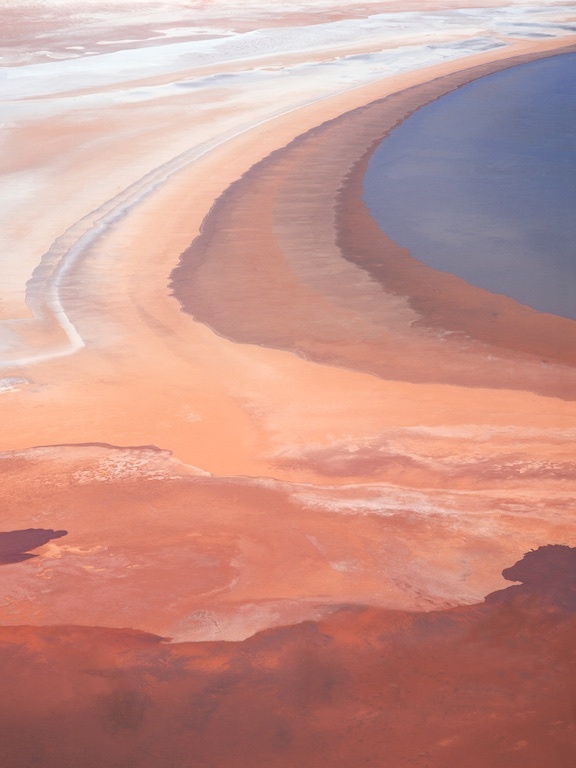 Coastal salt lake, east of Israelite Bay, Western Australia, 2006. Ocean between Ningaloo Reef and Coral Bay, Western Australia, 2006. Burnt forest, snowfields Victorian Alps, Victoria, 2007. 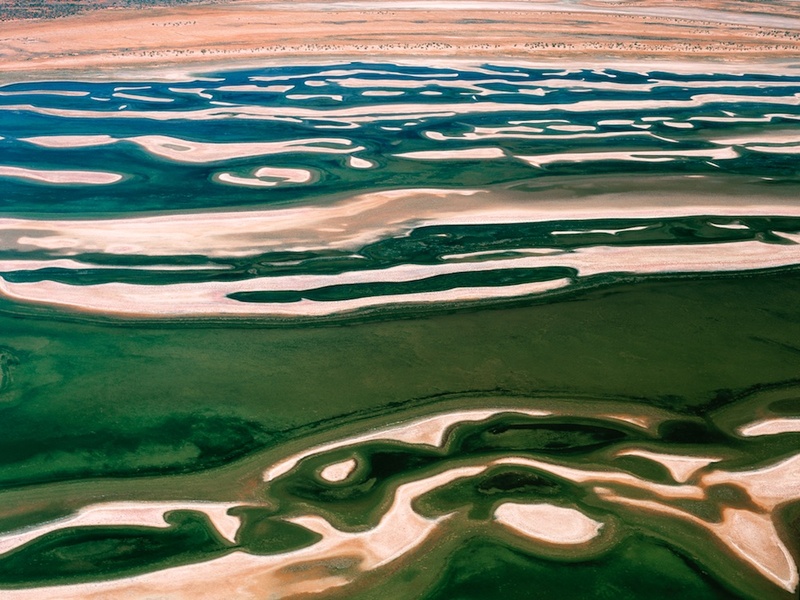 Water patterns, Lake Macleod, north of Carnarvon, Western Australia, 2006. Lake Hilman, central Western Australia, 2007. Lake Moore, Western Australia, 2007. Waste ore dump, Lake Lefroy, south of Kalgoorlie, Western Australia, 2006. Lake Moore, central Western Australia, 2007. Sheep with sheep tracks, Western Australia, 1986. Scrub country north of Cue, Western Australia, 2007. Bauxite residue waste storage area, Gove, Northern Territory, 2007. 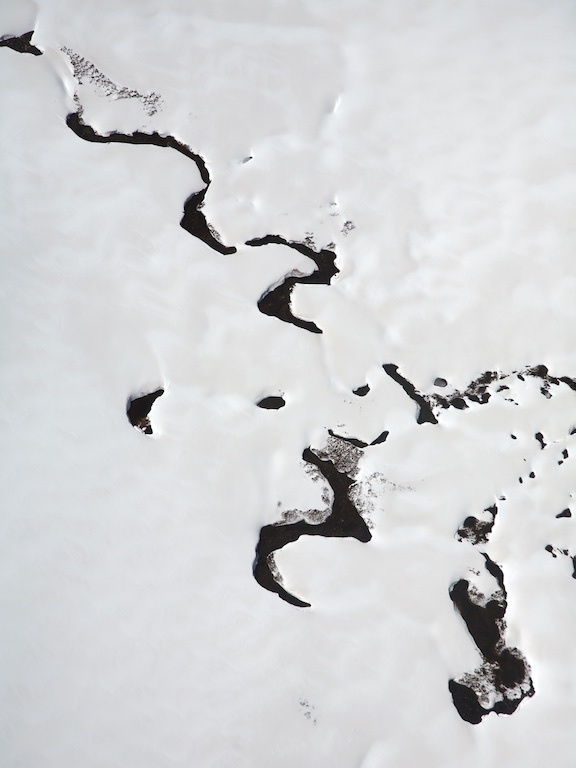 Creek emerging through snow, near Mt Hotham, Great Dividing Range, Victoria, 2007. Victoria Desert, South Australia, 2000. Lake Austin between Cue and Meekatharra, Western Australia, 1995. Lake Grace, Western Australia, 1997. 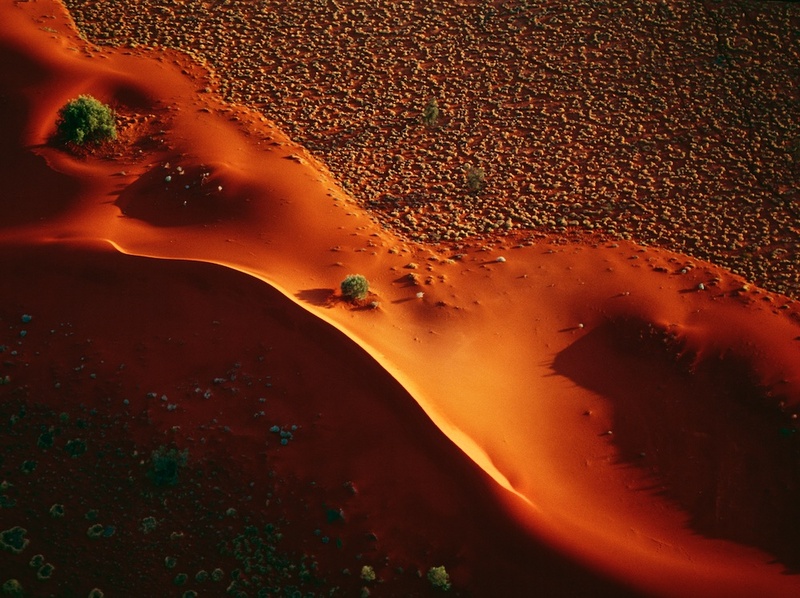 Sand dune, Windorah, Queensland, 1994. Saltwater affected dam, Wagin, Western Australia, 1998. Turkey nest dam near Newdegate, Western Australia, 1994. Dead trees on a flood plain, Northern Territory, 1998. 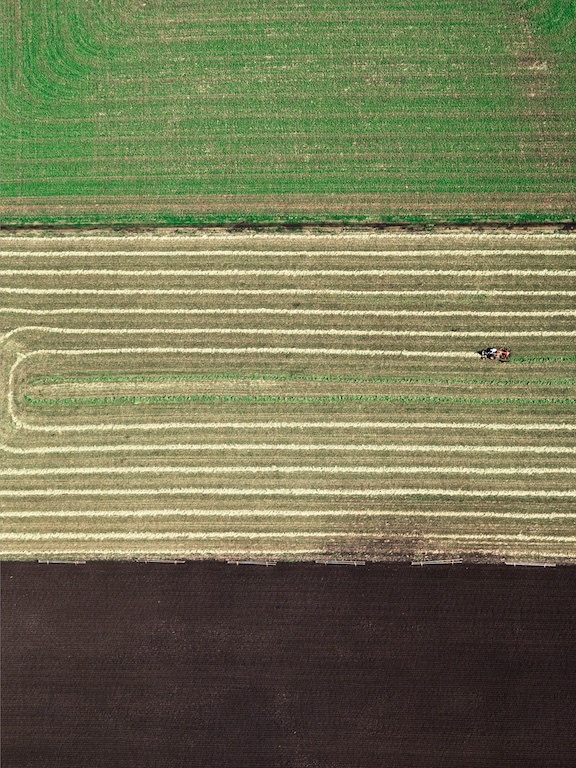 Tractor ploughing wheatfield, Northam, Western Australia, 1992. 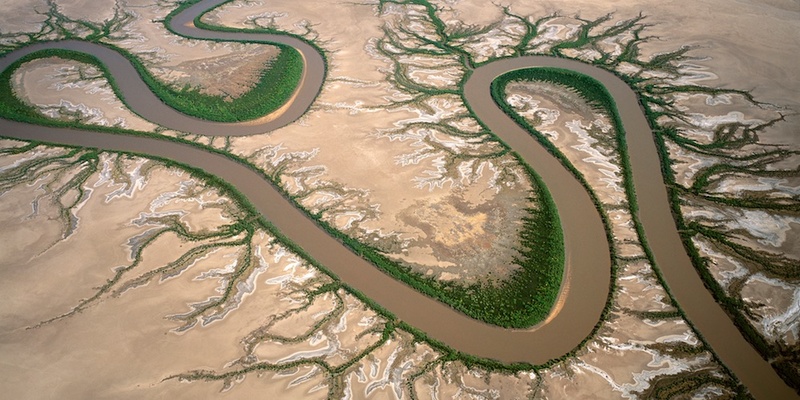 Tidal creek east of Darwin, Northern Territory, 1990. 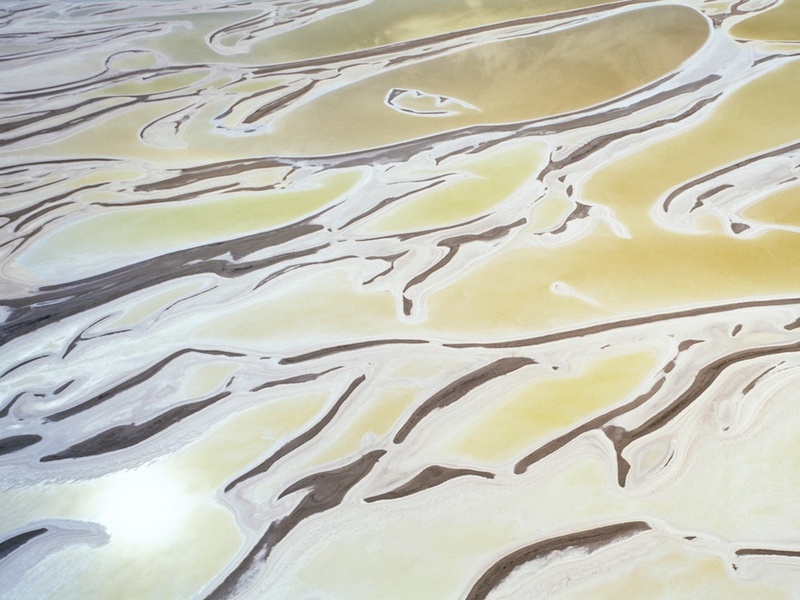 Mudflats, Derby, Western Australia, 1980. 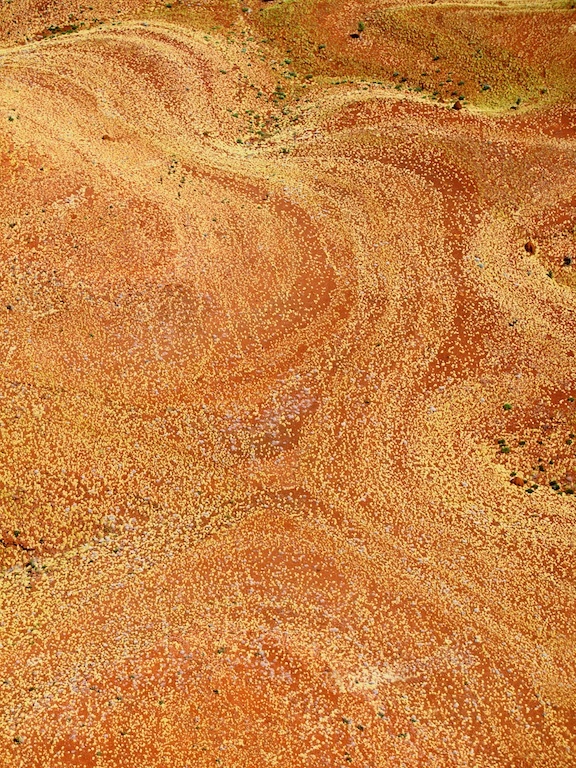 Spinifex, Pilbara, Western Australia, 1990. Estuary mouth at Greenough River, Western Australia, 1990. 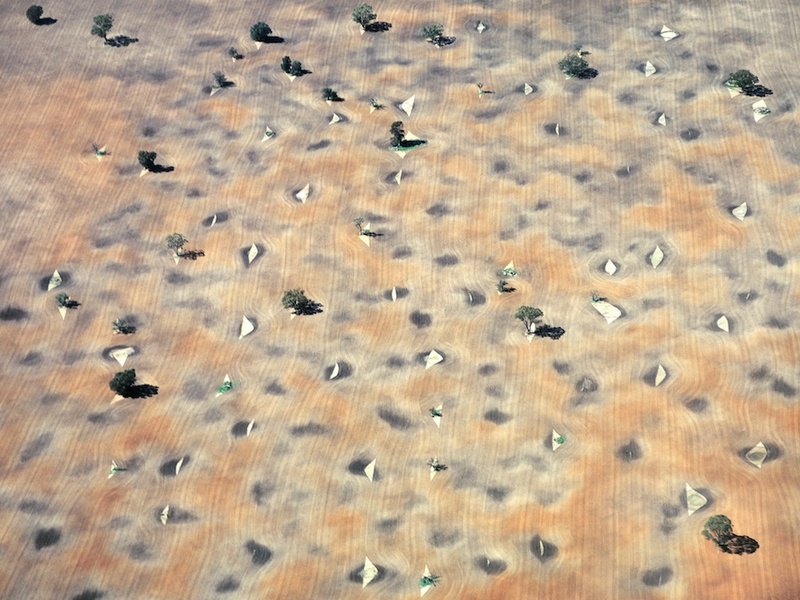 Farmland north of Mullewa, Western Australia, 1985. 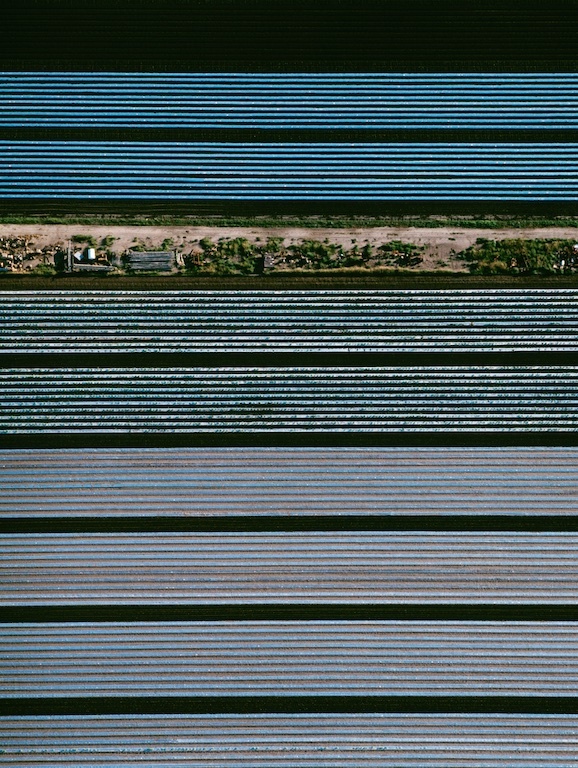 Vegetable gardens, Spearwood near Perth, Western Australia, 1991. 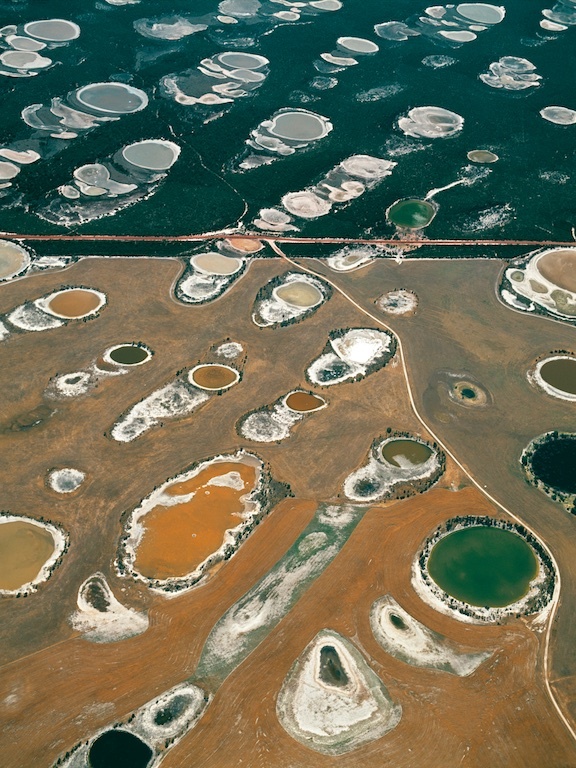 Lake Macleod with clouds reflected, north of Carnarvon, Western Australia, 1982.